This Duffle bag is simply matchless in its appearance. 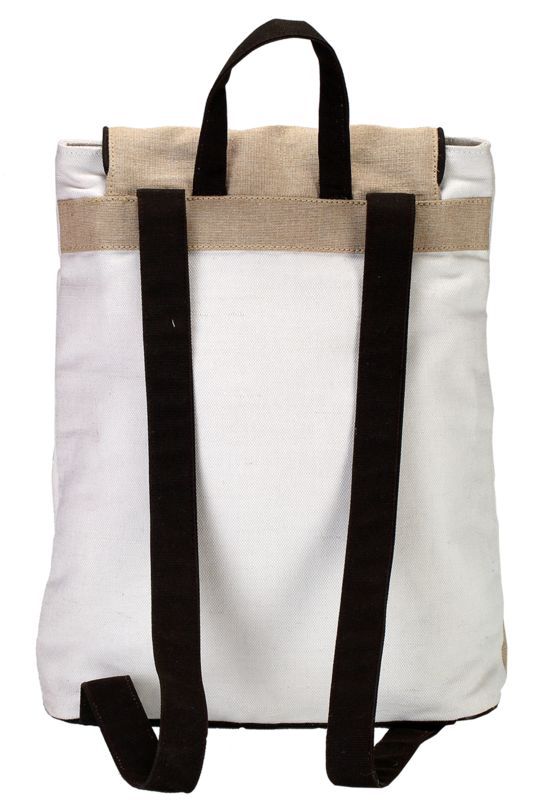 Manufactured with Jute fabrics, this bag incorporates a unique design that adds an unparalleled property to the product. 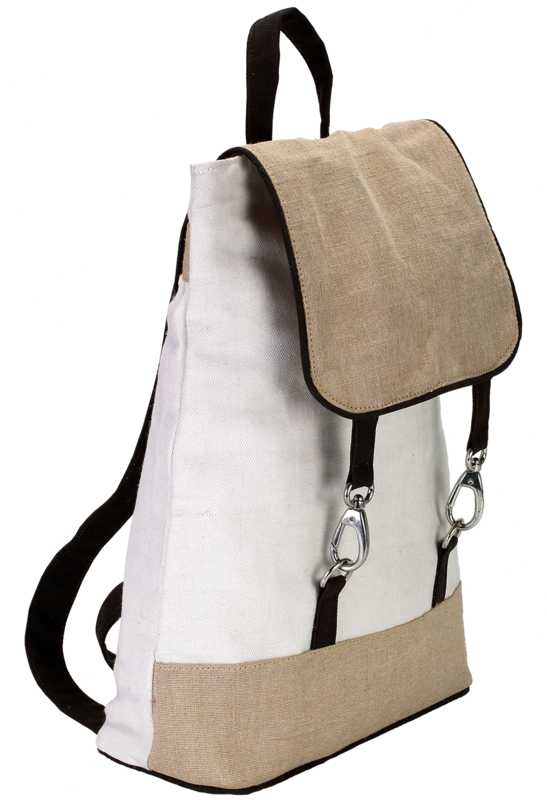 It is chiefly white and light brown in color with black straps to carry it on the back. Further, it has a beautifully crafted flip cover in the front that includes two little metal clips to tie the bag. Apart from this, it has a spacious interior, where you can keep your valuable things in safety. 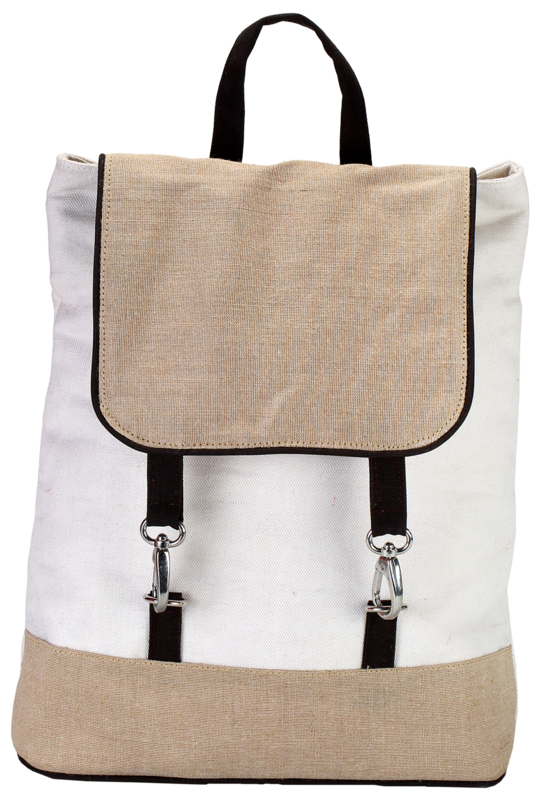 Whether you are going to your next door or traveling, carry this bag to enhance your personality with style and fashion.